Singapore delivers Southeast Asia's best shopping and innovative, stylish restaurants, plus a swathe of top-notch hotels. If you want a break from the urban confines, the centre of the island has sparkling reservoirs and leafy tracts of forest where all you'll hear is monkeys clattering through the boughs. Flights to Singapore operate from the majority of international airports and direct flights to Singapore are obtainable with most airlines. We recommend finding cheap flights to Singapore but you will need to be quick off the mark, as these tend to get snapped up really quickly. ‘Singapore is a fine city’ and in more ways than one, not only is it one of Far East Asia’s finest cities it is also known to hand out fines for offences as small as chewing gum, slight exaggeration, but you won’t find chewing gum sold in Singapore. Singapore is a perfect example of East meets West; a mixture of British colonial buildings as well as influences from some of its closest neighbours Malaysia, Indonesia and China. Thus, Singapore has one of the most unique multicultural nations in Asia. Even though Singapore is a densely populated city, there is still a large amount of greenery in various parks, such as East Coast Parkway and the stunning Botanical Gardens. Being a popular destination for travellers, a hub for international business and a home to many expats from all over the world the seats fill quickly and prices of flights to Singapore tend rise and fall, especially in conjunction with school holidays and also Chinese New Year. 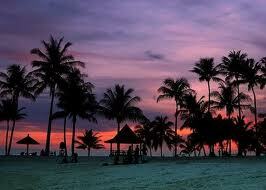 Therefore, try to book your cheap flights to Singapore well in advance to visit this multicultural empire. Travel enthusiasts should book cheap flights to Singapore because it Singapore has an endless list of attractions and activities to discover; most of the hotels are situated around Orchard Road, which is in the middle of the Central Business District (CBD) and where the majority of the shopping centres are situated so it’s an ideal place to stay. From Orchard Road you can easily get to any part of the city, there is an endless supply of taxis and transport opportunities. Those of you who are jumping on cheap Singapore flights, there are a few must do’s on the agenda. Visit the Singapore Zoo which is known to be one of the top in the world and it also has a fantastic Night Safari just next door, also Jurong Bird Park is a lovely day out and definitely something the kids will love. For thrill seekers there are snow and water sports centres as well as a Wild Wild Wet water theme park and for Art and culture lovers there are plenty of galleries and museums such as the NUS Museum, The Arts House and Artfolio. 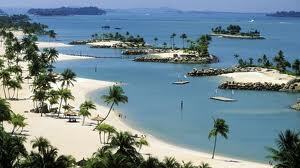 Just of Singapore is the island of Sentosa which has a whole host of attractions on one small island, from three beaches to a historical adventure at Fort Siloso and from Dolphin Lagoon to Resorts World which has its very own Universal Studios. Directflights.com can help you find your cheap flight to Singapore; just by clicking any of the links below or using our flight search box, we list the cheapest flight to Singapore as well as all the direct flights to Singapore. Once you have searched for and booked your cheap flight to Singapore, saving pennies to then spend on shopping, dining, nightlife or even a room upgrade at your hotel. Dining in Singapore is a favourite pastime, hence why they even have a Food Festival, and the most popular places to eat and drink are Boat Quay and Clark Quay with their rows of bars and restaurants along the riverside. There is always a colourful buzzing atmosphere around this area which guarantees it never to be boring. Wala Wala Café, situated in Holland Village, is a great place to hang out with friends and watch live bands and you must visit the smashing Ku De Ta where you can sip cocktails on the roof top bar while enjoying the view of the skyline – a perfect way to end the Singapore experience. Like most of Southeast Asia, Singapore is generally hot and humid. It's warm and humid year round, with the temperature almost never dropping below 20°C (68°F), even at night, and usually climbing to 30°C (86°F) during the day. Recent times, it even reached till 35°C. Humidity is high, mounting over a 75% mark. November and December is the rainy season. June-August is considered to be the best time to visit, but even then it rains often. Don't let the climate stop you from going, however. Most buildings are air-conditioned, and pains have been taken to make everything as comfortable as can be, all things considered. When it does rain, it's generally only for a short period.